DipDrop is an iPad game developed byAleksandr Filatov. Currently available for 50 percent off the normal purchase price, you can grab DipDrop for a limited time only for just 99 cents. 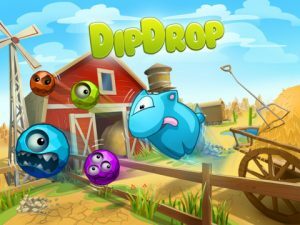 In DipDrop, you need to help a colorful critter named BamBam defeat a squadron of vicious aliens who have crashed landed on his farm. There are two main modes: Adventure mode and Free Game. 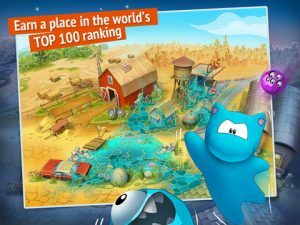 The Free Game mode lets you compete in the world rankings and open up new levels. 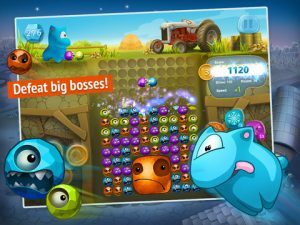 To beat each level, you need to destroy the alien blobz. To do that, you need to move the blobs into rows or columns or four like blobs. You can also use bombs to destroy an entire row at once. You’ll have to buy bombs if you run out, however. Two other powerups you can deploy are a 30-second game freeze and the “lightning wave,” which hits the blobz at the top of every column. The lightning strike powerup strikes me as one of the more unique boosters I’ve seen in these types of games. While the controls work well, I’m not 100 percent happy with how they’re laid out as a default. The left hand side of the control structure has three buttons: up, left, and right arrows. These are used to move the the falling blobz from side to die or speed up their descent. However, the controls for vertical-horizontal orientation of the blobz are located on the right hand side, beneath the powerup buttons. The good news is, you can move the controls anywhere you’d like on the screen under the Settings “Dashboard” menu, a feature that I LOVE! 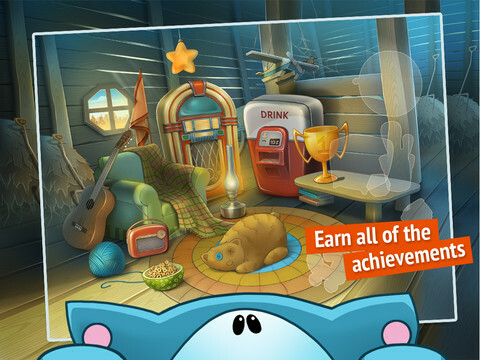 While this is a fairly large game download, it’s worth the wait (and the space) to try DipDrop. 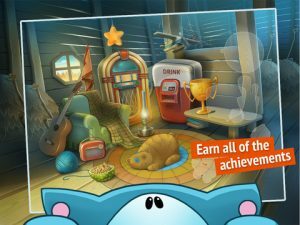 Given its combination of slick graphics, fun music, and entertaining gameplay, DipDrop is a bargain at $1.99, and a steal at its current sale price of 99 cents. 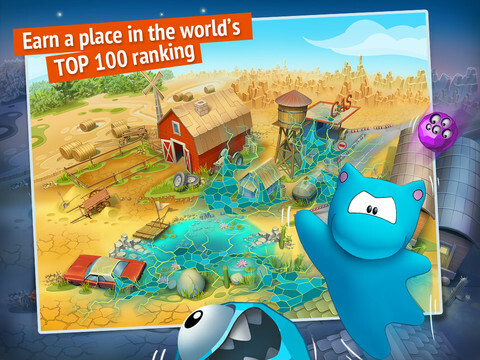 This charming take on the Match 3 game genre is lots of fun. DipDropis compatible with iPad. Requires iOS 4.3 or later.